CARTWRIGHT, Frederick - Passed away peacefully at home after a long illness, Fred, aged 81 years, of Bootle, Millom, formerly of Runcorn. Loving father to Paul, Cathie, Sean and Emma and a dear father-in-law, grandad, great-grandad, brother and uncle. Funeral service will be held on Wednesday, 22nd August at Distington Hall Crematorium at 12noon. 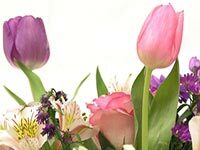 Donations in lieu of flowers to Hospice at Home, West Cumbria and the Northwest Air Ambulance, c/o NB Southward Funeral Director, Mill Gate, Broad Oak, Ravenglass, CA18 1RS. Tel. 01229 717258. Special thanks from the family go to all doctors and staff at Bootle surgery, the staff at the Henderson suite, West Cumbria Hospital, the Macmillan team, Hospice at Home, West Cumbria, with special thanks to Anne Marshall an absolute angel.